Radio controlled model aircraft flying has a very impressive safety record due in no small part to the fact that all those involved in the hobby regard safety as an extremely important issue. In a model flying club safety is everybody’s business. Indeed model flying, like all forms of aviation, is subject to government legislation under the auspices of the Civil Aviation Authority and the European Aviation Safety Agency, and the laws, rules and regulations governing this activity must be taken seriously. Both the BMFA and SAA publish rules and guidelines regarding safety issues, and all affiliated Clubs and their Members are required to abide by them. In addition, each Club has its own rules to take account of local issues such as field location and layout, and especially the proximity of roads and buildings. Each local Club must be properly constituted and have a Committee comprising officers whose duty it is to carry out the various aspects of club business, and to manage and administer the imposition and application of club rules and safety regulations. All members are required, as a condition of membership, to respect and abide by these rules, and it is incumbent upon each member to make and keep themselves familiar with them. 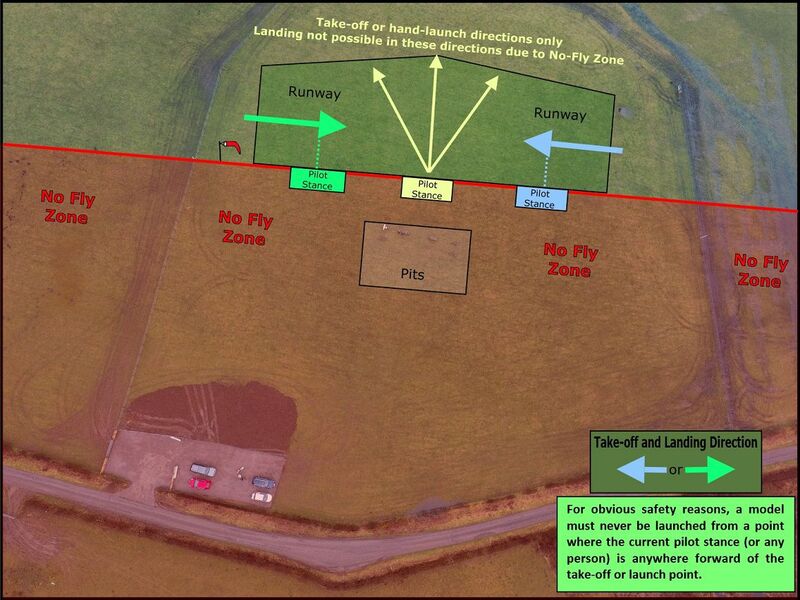 An integral part of the safety rules relate to the layout of the site and in particular the location of “No-Fly Zones”. These are areas which must NOT under any circumstances be overflown, and will always include the pits and car park area, plus any nearby roads or buildings. High energy Lithium-Polymer batteries used in electric flight must be charged, stored and managed with great care, as careless use can result in a serious fire. The BMFA publishes free valuable information regarding this issue (see the Useful Links Page), and additional information on this subject is available on our own website from the Articles page. The Club Rules and other related documents are available as .pdf files for download in the Club Details section of this website, and every member should download a copy of these for personal reference.